Little is known about the present state of market systems in Libya. Relevant market dynamics are not fully understood by the humanitarian community, which in turn hampers the provision of an effective and efficient response to vulnerable population groups. In an effort to better understand market systems and to support the scale-up of cash distributions, the Libya Cash & Markets Working Group (CMWG) and REACH have initiated the Joint Market Monitoring Initiative (JMMI), which monitors the prices of basic food and non-food items over time. Initially launched in June 2017 as a pilot led by REACH as the only actor collecting market data, the Libya JMMI can now count on the contribution of 4 additional CMWG partners, namely ACTED, DRC, Mercy Corps, and WFP. 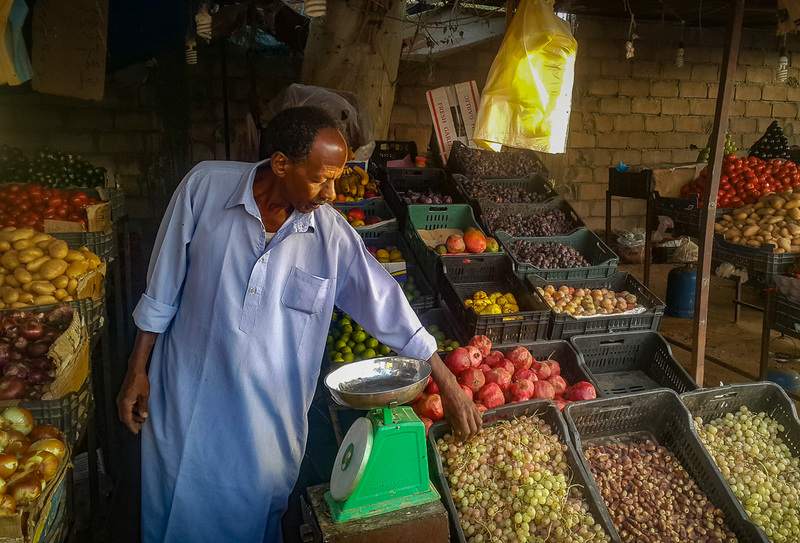 Trained by REACH on methodology and tools, enumerators from the 5 participating agencies assess shops in key urban areas across Libya on a monthly basis, recording prices and availability of basic food and non-food items (NFI). The list of tracked items is composed of commonly consumed food items (e.g. rice, milk, potatoes) as well as articles deemed essential for hygiene (such as soap and toothpaste). Once data collection is completed, REACH centralises the data and publishes monthly factsheets and associated datasets, which can be used by partners to inform their response and planning. In the October round, 32 essential food and non-food items were assessed in 255 shops located in 21 urban locations across Libya. Findings show that, since the JMMI started in June 2017, essential items have generally been available in the assessed locations. Shortages were only reported in Derna city, where a military encirclement of the city has led to a temporary interruption of the supply chains, hindering traders’ ability to restock. Availability of basic items has not emerged as a concern in any of the other assessed locations. All monitored food and hygiene items have been readily available. Furthermore, multiple brands of each item could be found in shops. Such findings strongly suggest that supply chains are functioning and able to provide goods to markets continuously, an indicator of overall market functionality. This represents a foundation for humanitarian organisations planning or already implementing cash-based interventions in Libya. In future rounds, more partners are expected to join and coverage will be expanded to additional locations. Furthermore, the factsheets produced will include a Survival Minimum Expenditure Basket (SMEB), which represents the minimum culturally adjusted group of items required to support a Libyan household for one month. The results of the JMMI will also be further complemented by the upcoming Joint Market Analysis Initiative, another market initiative launched by the CMWG and implemented by REACH, which will provide an in-depth analysis of the wheat flour, tomato, soap and insulin supply chains. Access more detailed findings in the Libya Joint Market Monitoring Initiative October round at this link.